'Saddle Up' for great family f..
An MTSU program that prepares graduates to make workplaces better places to work has received top performance reviews from its industry’s pre-eminent professional group. The Society for Industrial and Organizational Psychology, the premier professional organization in the field, ranked MTSU’s Industrial/Organizational Psychology Master’s Program as No. 1 overall in the nation. The society published its final rankings in the Spring 2018 issue of The Industrial-Organizational Psychologist newsletter. You can see the listing and its methodology here. “The rankings are based upon objective data covering several dimensions of program quality,” said Dr. Patrick McCarthy, director of the I/O psych graduate program and an MTSU psychology professor. The institutions’ final scores were based on an average of the scores in four categories: applied experience, curriculum, faculty experience/information and student accomplishments/information. McCarthy provided the data to the organization for the study. McCarthy noted that the program’s quality has attracted “a deep pool of talented applicants every year from across the country and internationally,” including countries such as Australia, England, Japan, India, Turkey and Venezuela. The program is affiliated with the Center for Organizational and Human Resource Effectiveness, or COHRE, an independent consulting unit that offers valuable experience to MTSU’s industrial-organizational psychology students. Some of COHRE’s clients served since its 2003 inception include Goodwill Industries, Nissan, Procter & Gamble, State Farm, Cracker Barrel and several local, state and federal governmental agencies. COHRE describes industrial-organizational psychology on its website as “a diverse field with various specialty areas of investigation, including basic personnel functions, psychological processes that underlie employee behavior in workplace settings, group processes at work and the conditions of work. 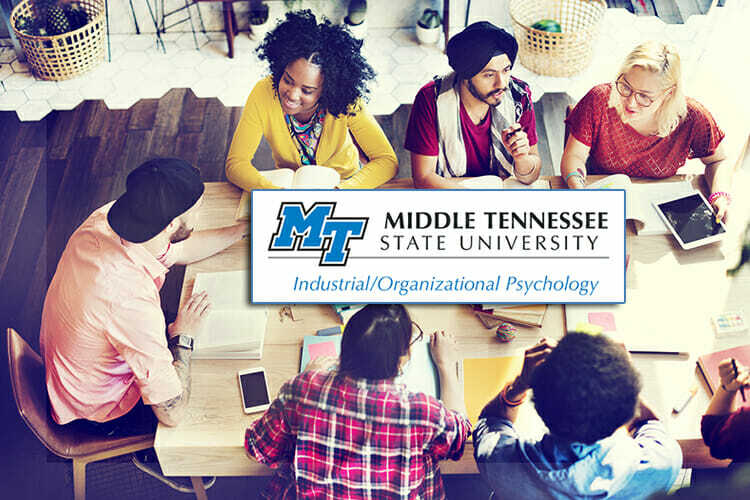 For more information about MTSU’s industrial-organizational psychology graduate program, contact McCarthy at 615-898-2126 or patrick.mccarthy@mtsu.edu. To learn more about COHRE, contact its director, Dr. Michael Hein, at 615-898-2127 or michael.hein@mtsu.edu.